“Do I need to bring goggles?”, “I wear glasses – what’s the best solution?” Bob from the Nature Travels team discusses considerations for eyewear to best to enjoy your winter adventure. The article below gives advice particularly for guests who normally wear glasses/contact lenses, but similar considerations regarding eye protection are relevant for all participants in winter activities. If, like me, you are cursed with that annoying affliction known as short sight, and yet you love getting out from behind your computer (which probably contributed to the problem in the first place) and into the fresh air once in a while, you’ll know that glasses and being outdoors can be a frustrating pairing. In winter, you have to suffer the embarrassment of fogging up immediately every time you come out of the cold and into a warm room. When it’s sunny, you have the choice of a) having prescription sunglasses b) being blinded or c) taking your glasses off, wearing normal sunglasses and being mown down by a passing car next time you cross the road. When it’s raining, you’ll wish someone would invent a windscreen wiper attachment so you could at least see something through the streaming rivulets cascading across your vision. Goggles don’t need to cost a fortune – a basic pair will provide sufficient protection, though better quality lenses will offer improved vision. Photo: Nature Travels. A few million years ago, I would probably have been picked off by a sabre-toothed tiger at an early age. But thanks to the wonders of the modern world, I’ve made it into adulthood and been let loose to roam myopically across the planet. So how can we visually-challenged types enjoy the great outdoors and still see where we’re going? Wrap-around ski glasses can provide appropriate protection as an alternative to goggles provided they cover your eyes completely. Photo: Nature Travels. 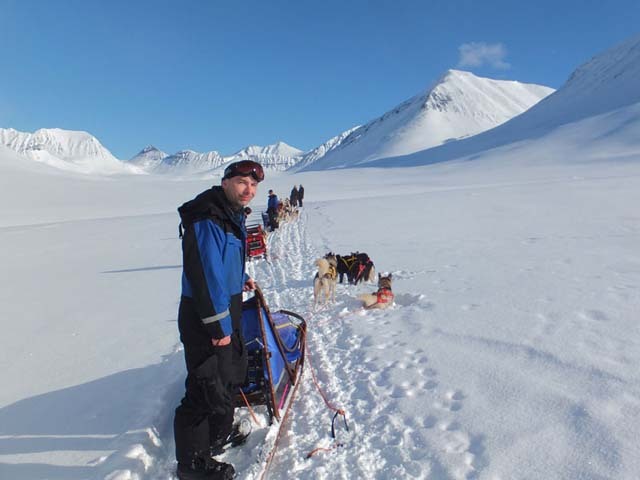 At Nature Travels, we specialise in outdoor activities in the Nordic countries, so winter is very much part of what we do, whether it’s dog sledding through the mountains of the King’s Trail, ski touring in the Lapland wilderness or snowshoeing between forest cabins in Finland. 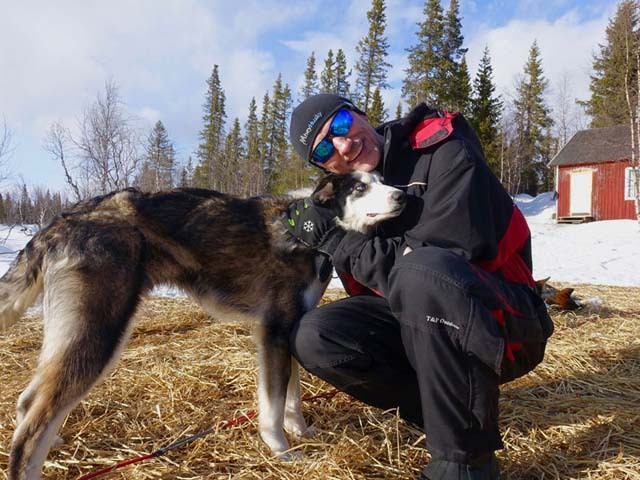 Whether you need to wear glasses/contact lenses or not, one dilemma when packing for a dogsled tour or other winter experience is whether you will need to bring goggles. If you’re not a skier/snowboarder, you may not already have (or be able to borrow) a pair, so do you need to buy one for your tour? In good weather, you may not need your goggles. Photo: Kathi Otreba. 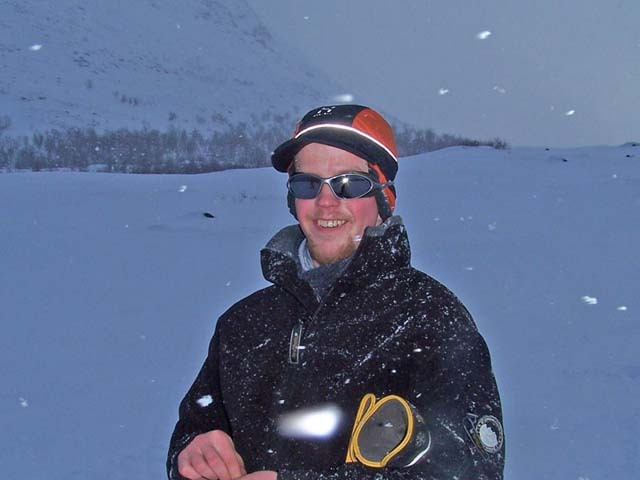 If weather conditions on your tour are good, with no wind and no snowfall, you may not need to use goggles at all during a tour – even normal sunglasses might be sufficient. However, weather conditions can of course never be known in advance, so, whether you end up taking them out of your backpack or not, you WILL need to have something with you to keep snow and wind out of your eyes. If you’ve ever been in a blizzard without suitable eye protection, it’s not an experience you will wish to repeat. It’s uncomfortable, quite scary and potentially hazardous. Of course, you don’t necessarily need goggles to protect your eyes – wraparound ski glasses may also work well, provided they will keep the wind and snow out in a blizzard. Bear in mind that, while you can certainly spend a lot of money on such equipment, a functional pair of goggles or ski glasses doesn’t need to be expensive. My ski goggles were £29 and my ski glasses were €15, and I’ve been using them both for years. This is my preferred choice. I don’t wear lenses all the time (I find they don’t work well for me for office/computer work, and now I’ve hit my mid-40s I can’t read with them either!) but I do use daily disposable lenses for outdoor activities, both in summer and winter. 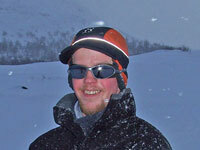 In winter, this allows me to use “normal” ski goggles/ski glasses on a dogsled or other winter activity. In the cabins or around camp in the evening, I find my eyes start to get quite dry after a while, so I change back to glasses once the day’s activities are over. Protecting your eyes from the sun as well as the snow and wind is important. Photo: Lydia Lam. BUT, you will need to take precautions to stop your lenses from freezing (and also any bottles of cleaning fluid, etc, if you don’t use dailies). If the liquid your lenses are kept in freezes, that’s probably the end of them. Keep any fluids inside your snowmobile suit or jacket close to your body during the day, and in your sleeping bag with you at night (or wrap them up somewhere warm in your backpack). I’m not a fan of this option, as I’ve never managed to find a solution that’s comfortable and doesn’t involve constant fogging up. But, if you can find a suitable pair of goggles that fit over your glasses, this can be a simple and cost-effective way to go. If you’re feeling flush, are not expecting your eyesight to change much in the future, and think you will make regular use of the equipment, you can also splash out on a pair of prescription goggles or ski glasses, but this option can be expensive. Plus, when you’re not using them you’ll need to have a pair of glasses to pop on anyway. Niki from the Nature Travels team chose this solution in preparation for a trek in Nepal a while ago, and now I’m very jealous of her superhero vision. If you were planning to do this anyway, you might want to get it done in good time for your tour – but if not, this may be a little extreme! 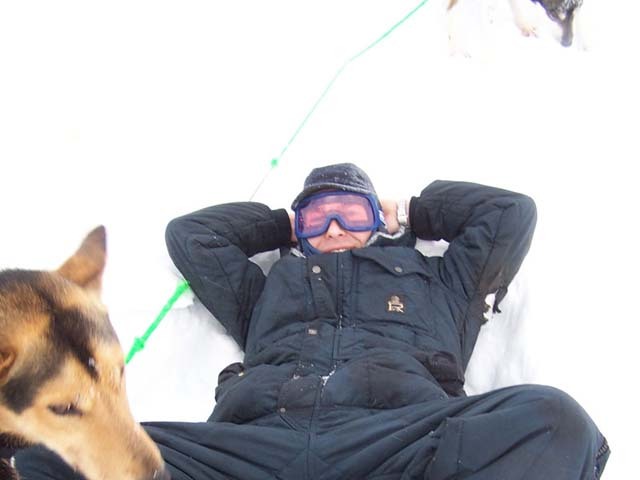 Eyewear is needed for any winter activity, from dog sledding and ski touring to ice skating and snowshoeing. Photo: Nature Travels. Whichever option you choose (except if you go for Option 4), take a spare pair of glasses with you on the tour. If you lose your contact lenses, drop your glasses in the snow, or a cuddle with an excited husky gets out of hand and you break them accidentally, you will not want to spend the rest of the week squinting at a distant blur while the rest of the group goes “ooh” and “aah” at the lovely views of mountains and Northern Lights. And whether or not you need are someone who needs vision correction, it’s important to protect your eyes when doing winter activities. Quite apart from the need to protect from snow and wind, the sun can be very bright and there can be a great deal of reflected light, especially for tours during the later part of the winter when daylight hours are long. Make sure you protect your eyes appropriately with suitable eyewear (but bear in mind if you’re travelling in the far north during the darker periods of the winter, lenses will need to be clear or only mildly tinted, otherwise you won’t see a thing!). Many goggles have the option to change lenses to different tints, or more expensive models may have photochromic lenses to adapt automatically. This article from Go Outdoors gives some additional information to help you choose. 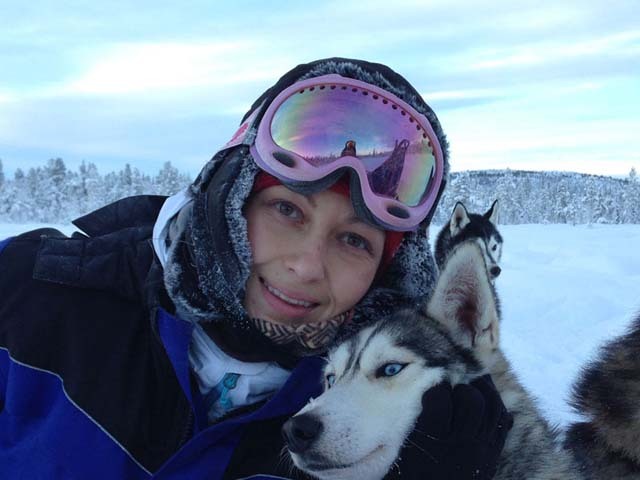 Here’s wishing you a clearly in-focus, “spectacular” winter adventure in the Nordic countries!